Many people ask for Camtasia Studio replacement in Linux. 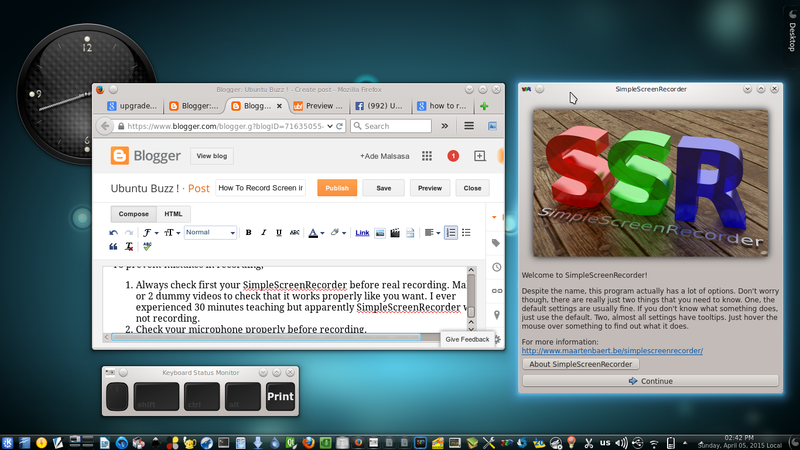 Actually there are many solutions in Linux such as RecordMyDesktop, Vokoscreen, Istanbul, Kazam, ffmpeg, even VLC. 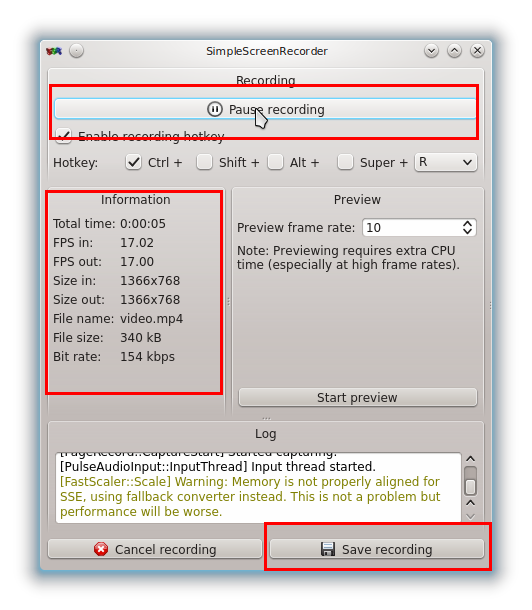 But among the available softwares, I choose SimpleScreenRecorder. It is because (according to my experience) I get the best compromise between quality and perfomance. I ever tried many of them but my system crashes many time because of the resource requirement. Here is my simple explanation on how to use SimpleScreenRecorder and Keymon to create video tutorial (screencast, screen record). I assumed you have installed both of them. Open Keymon first. You will mark you cursor clearly with Keymon. Even any of your keyboard stroke will be appeared on the screen with it. At the current window appearance, select Record the entire screen. Type frame rate 35. Check on Record microphone, select Backend: PulseAudio, select Source: Built-in Audio Analog Stereo. Then click Continue. At the current window appearance, determine where you will save your file. At my example below, /home/master/video.mp4. Select Codec: H.264, Constant Rate Factor: 0, Preset: veryfast. Select in Audio Codec: MP3 and set Bit rate: 128. Then click continue. At the current window appearance, press button Start Recording. You will see that SimpleScreenRecorder will show you dinamic statistic about the time elapsed and file size growth. It means SimpleScreenRecorder is working. Now do what you want to teach in your screen. Don't forget to show Keymon in screen properly. 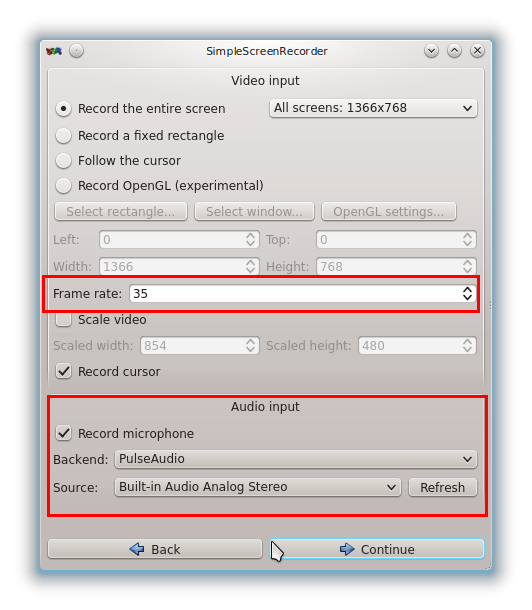 After that, open SimpleScreenRecorder window again and press Pause Recording to stop it. Then press Save. Don't forget to do that! You will find your video in your specified path. Always check first your SimpleScreenRecorder before real recording. Make 1 or 2 dummy videos to check that it works properly like you want. I ever experienced 30 minutes teaching but apparently SimpleScreenRecorder was not recording. Check your microphone properly before recording.